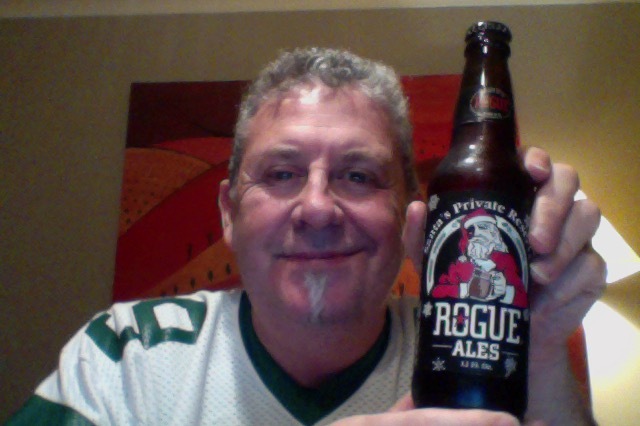 BeerJerkNZ beer of the week a Rogue Santa’s Private Reserve Ale. Got to be happy with that. 330ml bottle, and an IBU of 40 things, and 5% ABV, around 150 calories a serve, and about 1.4 standard drink units. Jets 99. Mark Gastineau. ’nuff said. Rogue’s annual holiday offering, Santa’s Private Reserve, is a variation of the classic Saint Rogue Red, but with double the hops–including Chinook, and Centennial, and a mystery hop called Rudolph by head brewer John “more hops” Maier! This holiday elixir is brewed with [..] . free range coastal water and proprietary top-fermenting Pacman yeast – Our Snowflakes Glisten in the dark! Sooooo what could possibly go wrong? 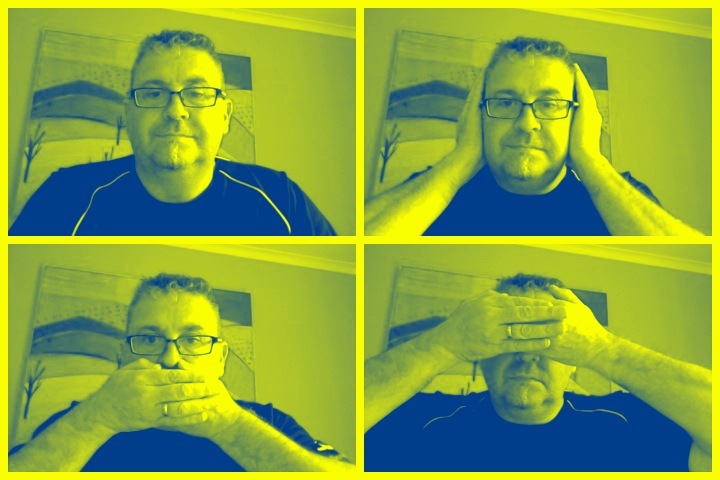 I’ve had this before and quite liked it. The aroma on opening is quite deep,, malty rich. Pour is darker than I remember, rich luxurious deep orange brown, with a head that showed promise but didn’t in the ned deliver. Aroma in the glass mostly that malty thing, perhaps a little of that steeped fruits thing, at a pinch. Left for a few minutes though it seems to have become a lot richer. I like that. A interesting beer that seems to want to have more body and oomph in the middle, but does have some nice spice taste going on there, and it’s held up a bit by that malt sweetness. It’s not so strong though at the finish and the dry is oddly dry and flat, like a dust. I’m again not sure about this as a beer, I think it’d like to be fuller and bigger, but I think it’s also trying to be a hoppy amber ale, with a twist, I also think it’s a bit of a mix. So, whilst not a fan I’m not completely against it. Which seems similar to the thoughts I had last time I drank it. The pdubyah-o-meter rates this as 7 a of its things from the thing. I can’t find a horrible thing to say about it and at the same time there isn’t anything that stands up and shouts “pick me”. Where did I get it? BeerJerkNZ the beer club to be in. Am I enjoying it? I’m not not liking it, I’m not loving it. Would I share with a friend on a porch and set the world to rights? I don’t think I could keep a straight face if I turned up with this. Ir really isn’t bad, it just doesn’t scream good choice. 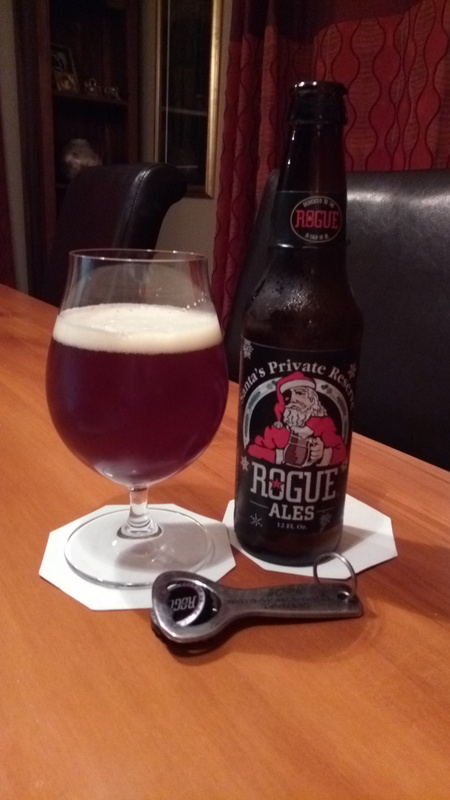 This entry was posted on July 1, 2016 by Philip Walter in Amber Ale, Beer, Beer of the USA, Beer Review, Brewed By, Craft Beer, Critic, Rogue and tagged Alcohol by volume, Beer, BeerJerkNZ, craft beer, Rogue Ales, Rogue Santa's Private Reserve Ale.